This Holly my parents in law kitty. This is her first Christmas and she has loved all the shiny decorations and playing with the Christmas tree. As you can see you also loves boxes and this is the only way you can get her to be on your lap. 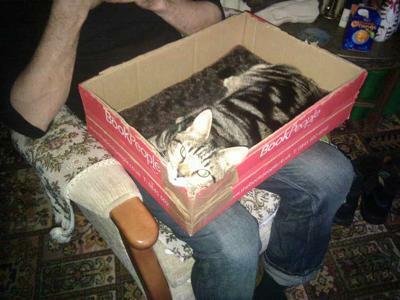 No box, no way.